Shumate is a full-service handyman/general contractor service - capable of handling all types of home improvement and remodeling. No matter what the issue is, their handyman will complete your service promptly since they will always arrive well stocked with the tools and equipment to complete your service right the first time. Their experienced handymen have vast and varied knowledge; they'll be happy to assist you, answer questions or make recommendations about a home repairs. The only way to beat Shumate's prices is to take a chance on another handyman who is likely cutting corners on products, trained professional staff, and/ or liability insurance. Shumate never cuts corners, and always provides you with competitive, fair pricing on its extensive line of products and services. Call Shumate Handyman today to schedule your FREE quote!! No job is too small, but the quality of workmanship and care is always the very best they can do. Shumate Handyman is ready to work on everything in your home. 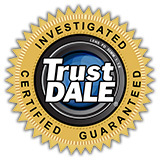 Services include, but are not limited to door adjustment (doors rubbing or dragging), replace door hinges that are damaged or have been painted, replace damaged interior doors and moldings, replace door locks, bore doors and install new deadbolt locks, replace worn or damaged door weather-stripping, replace worn or damaged door threshold or sweep, replace damaged window sash locks, loose cabinet doors – adjust or replace hinges, pull down attic stairs – repair or replace, pull down attic stairs – cut and frame opening and install new stairway, attic stair insulation tent, install crown or chair rail molding, drywall repairs & painting, repair holes and water damage on ceilings and walls, stipple and popcorn texture repairs, match paint and blend the repaired area with the existing, and painting of 2 rooms or less. Shumate has the reputation in the industry for being the very best, most customer-focused handyman in the Southeastern United States. That reputation was not gained by accident. Every single thing Shumate does, from the way the company teaches its staff to the way Shumate interacts with their customer(s) to the very culture of their business, truly does revolve around making sure the customer is ALWAYS more than satisfied.